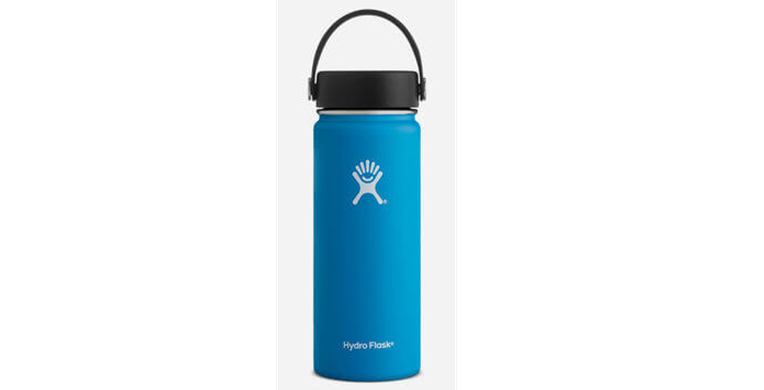 Hydro Flask 18oz Wide Mouth water bottle. Durable 18/8 Pro-Grade Stainless Steel construction with Wide Mouth opening for faster fill and flow. TempShield insulation eliminates condensation and keeps beverages cold up to 24 hours and hot up to 12 hours. BPA and Phthlate-free. Compatible with Wide Mouth Straw Lid and Hydro Flip Lid. Lifetime warranty through manufacturer.